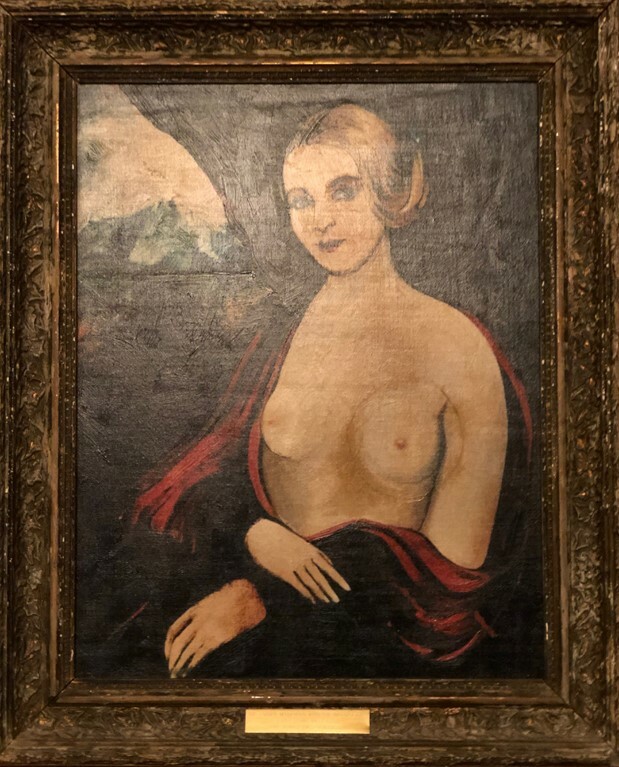 Alistair Assheton bought the painting at East Bristol Auctions in December 2018 for a hammer price £15,000 (plus 18% buyer’s premium) against its £5000-£10,000 estimate. He lives in Normandy, roughly a three-hour drive from the town where ‘Allo ‘Allo was set in Nouvion, Picardie. The painting today hangs above the family’s fireplace. “We can look at it while we watch old episodes; cheering at every mention – or even sighting – of the Fallen Madonna on screen” says Assheton. Assheton battled against bidders online at thesaleroom.com and by telephone from as far afield as Spain, Belgium and Australia. Set in a small-town café in in German-occupied France during the Second World War, the 'Allo 'Allo series ran from 1982-92. The ‘local treasure’ portrait, by fictional painter van Klomp, was a staple prop throughout the series that various protagonists were trying to move, steal or hide. It was often concealed in a knackwurst sausage. Numerous copies were made during the BBC production, but many of which were destroyed or damaged during filming. East Bristol Auctions said the version that Assheton has bought is the only one to survive all nine series of the sitcom. It appeared in the final episode in 1992, A Winkle In Time, when the portrait is re-discovered in the arm of a statue outside Café Rene. It previously belonged to production designer Shaun Moore, who was presented with it by crew as a souvenir. He auctioned the painting for charity in 2007 for around £4000 and it has been in private hands since then.